O Haligon Fine Art expertly offers intuitive and incredibly accurate art casting and molding work. 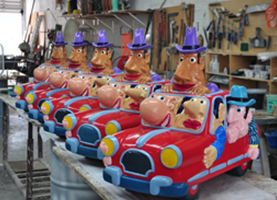 O Haligon Fine Art provides exceptional art molding and casting in Miami, FL. Out of all the artistic mediums practiced in the world today, none are as time-consuming or strenuous as sculpting, especially if you are working more towards realism. In painting or digital art, if you make a mistake, it is simple to cover up and repair the issue. With sculpting, a mistake takes a long time to correct, and there is no guarantee the error will not be evident in the final product. With all these difficulties surrounding the art form, it is important for you to get help wherever you need it. O Haligon Fine Art is the perfect partner to have to ensure your project goes to completion in the best manner possible. If sculpting was not so hard, the end result would not be nearly as impressive. O Haligon Fine Art is proud to be in an industry where all of our clients are talented and ambitious artists. We help you at every stage of the process. O Haligon Fine Art it the number one provider of outwork restoration. It is only natural that once a sculpture is complete for the texture to be slightly rough and the color to look a little faded. Our technicians finish the product to make it smooth and unify all the colors of your piece. This service can be the difference between an average work and one that is undeniably impressive. 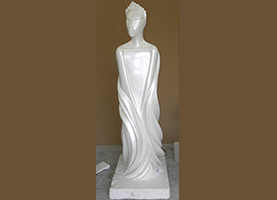 O Haligon Fine Art knows “Everything About Sculptures.” Put our knowledge and expertise to good use for your project. Take a trip to our facility soon.